The following essay by Michael Bumsted was chosen the winner of the 2001 Dr. Edward C. Shaw Award in the Young Historians Competition sponsored by the Manitoba Historical Society. Seventeen years after Confederation, Canada lent major aid for the first time to an international military campaign. It was the first time that a large group of Canadians would be overseas in any military operation. However, they were not employed in the form of troops, or even in an official capacity. Instead, Canadian boatmen and voyageurs were recruited to transport troops up the Nile River for the Gordon Relief Expedition. Of the almost four hundred men, a quarter were from Manitoba and were led by Lt. Colonel William Nassau Kennedy from Winnipeg. This paper tells their story. The British government had initially become seriously involved with Egypt during the course of the construction of the Suez Canal, which was finally opened late in 1876. Charles “Chinese” Gordon, who was appointed Governor of Equatoria in the southern Sudan by the Egyptian Khedive in 1872, was part of the early, unofficial involvement. Gordon, who had previously served unofficially in China during the Taiping Rebellion as the leader of the Celestial Emperor’s “Celestial Army,” took up his post in February 1874, after obtaining leave from the British army. The Sudan was an administrative nightmare, far from Cairo and full of rebellious tribesmen. For the next few years, Gordon moved in and out of administrative appointments in the Sudan, while the Khedive staggered from one financial disaster to another. Khedival finances, of course, were greatly strained by the construction of the Suez Canal. The British allowed the appointment of a British controller to “advise” the ministry of finance in Cairo in 1876, and soon found themselves more heavily involved in Egypt, initially in concert with the French, than they had intended. William Nassau Kennedy, no date. Meanwhile, the situation in the Sudan had become increasingly desperate. In early 1881, a religious leader named Mohammed Ahmed had declared himself the “true Mandi,” the Muslim messiah who was prophecied to appear in the year 1883. The Mandi gathered the Sudanese tribesmen around him and began preaching “Jihad”—holy war—against all infidels. 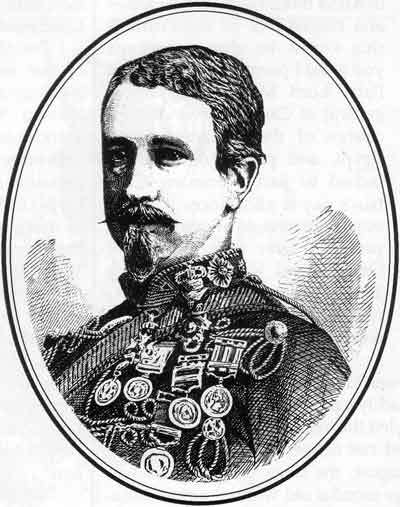 A British officer named William Hicks was made a general in the Egyptian army and made commander-in-chief in the Sudan, with instructions to rout the Mandi. Instead, “Hicks Pasha” was defeated, and the British found themselves with a serious problem in the Sudan, with the Mandi threatening to invade Egypt. The popular call was for “Chinese Gordon,” the one man who might be able to deal with the problem. The British cabinet was badly divided over policy with Prime Minister Gladstone utterly opposed to military intervention. Naturally, Lord Wolseley was popularly regarded as the only British soldier who might be able to get Gordon out. He was not regarded quite the same way by the British military authorities. To take a British army to the Sudan would be no easy task. Marching five hundred miles across hostile desert would be no simpler for Wolseley heading south than for Gordon heading north. The only alternative was sailing by boat up sixteen hundred miles of the Nile River. This route was regarded as impossible because of a series of cataracts (or falls) in the upper reaches of the river. Both the War Office and the Admiralty recommended the desert route. From the beginning, however, Wolseley had other plans. He proposed “to send all the dismounted portion of the force up the Nile to Khartoum in boats, as we sent the little expeditionary force from Lake Superior to Fort Garry on the Red River in 1870.”  Wolseley had in 1870 been exceedingly impressed with the almost four hundred Canadian boatmen—voyageurs, Indians, and Métis—. He had employed to man the boats which carried his troops over the rivers, rapids, and forty-seven portages of the five hundred mile river route to Fort Garry. He understood that Gordon’s rescue in 1884 would require the recruitment of another contingent of Canadians to do the job. Wolseley in the summer of 1884 only planned the expedition, but was not yet in charge of it. Yet he pressed on with his scheme to relieve Gordon by river, although a small elite camel corps would march along the riverbank with the boats. Parliament voted the funds for a river relief expedition, and not surprisingly, the government found that no one but Wolseley would do to command it. The “Manitoba Boys” of the Gordon Relief Expedition, November, 1884. Prime Minister Sir John A. Macdonald readily agreed to the recruitment provided the men were British employees and not connected with Canada. By August, the siege of Khartoum was five months old without any diminution in public interest. Despite the specification of men from Manitoba, the Governor-General initially insisted “the shortness of time at our disposal would render it difficult to select men from so distant a part of the Dominion as Manitoba.”  He and Lord Melgund decided to recruit almost entirely in the east, particularly among “shantymen” working in the timber industry in the Ottawa region. Before the end of the month an advertisement appeared in an Ottawa newspaper. It was headed “IMPORTANT TO BOATMEN,” and it informed its readers that 300 voyageurs and steersmen were to be enlisted for service on the Nile. Telegrams on 28 August from Wolseley and the Colonial Office insisted that Manitobans be included, and Melgund cabled that same day to an old acquaintance in Winnipeg to ask for assistance in the recruiting of fifty “good men.”  It is worth emphasizing that it was Wolseley, and not the Canadian authorities who insisted that some men be drawn from Manitoba. As far as Canada was concerned, Manitoba could be left right out of the picture. 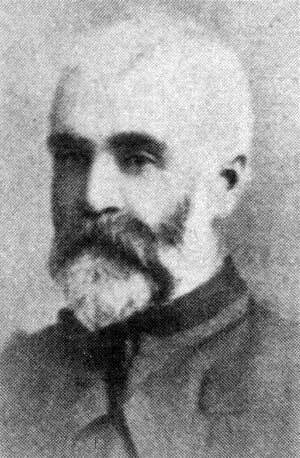 The man suddenly put in charge of the recruitment of a Manitoba contingent of voyageurs was William Nassau Kennedy (1839-1885), the founder and commander of the west’s only large militia contingent, the 90th Battalion of Winnipeg Rifles. Born in Upper Canada, Kennedy had worked as a housepainter before joining the Peterborough Rifles as a private in 1857. He served as a lieutenant in the Red River Expedition of 1870 and elected to stay in Manitoba where he became an active promoter of railway companies, business collaborator of John C. Schultz, and Winnipeg’s second mayor. Kennedy was also Lieutenant Colonel of the Rifles, which would subsequently become a problem. in Red River expedition preferred. Liverpool on the 13th Inst. Further cables from Ottawa requested a birch bark canoe for Wolseley’s own use, with spare bark and gum, as well as a request that each participant bring his own paddle. Kennedy complied with alacrity. The birch bark canoe cost $50.00. Apparently partly to cover his additional commitments, Kennedy requested permission to recruit fifty raftsmen in addition to his voyageurs, and was granted it, providing they were “men who are good at rapids, Other men would be useless.”  By 6 September Kennedy cabled Lord Melgund he had eighty men ready to go. As Colonel C. P. Stacey points out in the introduction to his documentary collection on the expedition, many of Kennedy’s recruits not only lacked experience but were several social classes above the boatmen recruited in the east. These problems would subsequently cause considerable difficulty on the Nile. The rank problem was solved when Kennedy “sank” his militia rank and Denison was brevetted a lieutenant colonel. In Egypt, Kennedy would be made acting quartermaster and paymaster of the contingent. This solution did not completely resolve the question of the relationship between Lieutenant-Colonel Denison and Kennedy which continued to be somewhat frosty. The lack of experience of some of Kennedy’s “voyageurs” was a problem that never went away. According to the final British report on the Voyageurs, however, there were three hundred sixty two men, eighteen foremen, and seven officers. The three hundred eighty foremen and men “consisted of thirty six English and Scotch, one hundred fifty eight Canadians, ninety three French Canadians, seventy seven Indians, and sixteen other nationalities.”  Lord Melgund described the Manitoba contingent as “about thirty Indians and a certain number of men of a better class who have employed in surveying but are accustomed to boat work.”  Two of the Manitoba group deserted in Sydney while their ship the Ocean King was refueling, and were replaced by Colonel Denison on the spot. On the Atlantic passage, Kennedy and Captain Denham entertained the men with duets on violin and flute. The ship steamed into Alexandria harbour on 7 October, and the next day the men headed for Cairo by train, leaving Kennedy behind to draw some money with which to pay expenses. From Cairo they continued by rail to Assiut, where they boarded a steamer, and were soon sailing up the Nile. The steamer took the Canadians three hundred twenty five miles to Assuan. 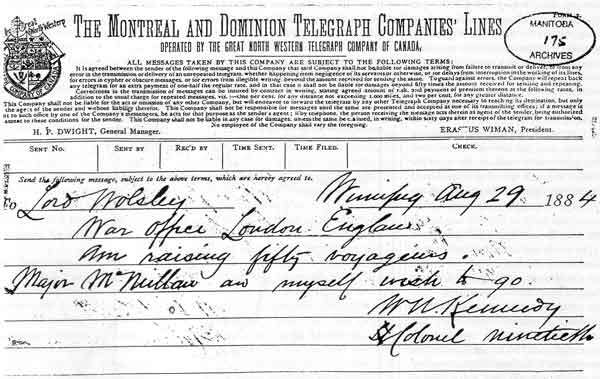 Kennedy’s telegram to Wolseley about the Manitoba voyageurs, August, 1884. A portage railway bypassed the first cataract, and then it was on by steamer to Wady Halfa and the second Cataract, which was a series of falls covering over eight and a half miles of the river. It was at this point that the serious work of the boatmen would begin, and they set to their task almost immediately upon arrival. Kennedy joined the contingent below Shillal, and eventually established his office at Dal, between the second and third Cataracts. He had been serving as acting paymaster since Quebec, but expected to be superseded when the Nile was once reached. Instead, the British authorities did not appoint a paymaster for the voyageurs, and Kennedy was asked by Colonel Denison to continue to serve in the post. Denison reported to Lord Melgund, “I do not object to Col. K. being Paymaster. If he gets into any trouble it will be through being too good natured and easy going—the responsibility is taken off my shoulders through my applying for one I consider.”  Kennedy was now being paid, at the rate of 16/ per day. He was also used on occasion as a Canadian officer, because of shortages. The job of being quartermaster general and paymaster was not easy, for the Canadian voyageurs were a civilian part of the British military, and both supplies and money had to be cajoled out of a reluctant system. When the men got sick or injured, they had to be squeezed into military hospitals. Being commanding officer was even more difficult because with a civilian force it was impossible to employ the usual military discipline to keep a contingent—composed chiefly of hard-drinking and brawling timbermen—under firm control. Under the circumstances, Denison and Kennedy appear to have gotten on well enough over the winter mainly by being separated by many miles of river. As we shall see, however, there were some problems and some friction. Source: Roy McLaren, Canadians on the Nile, 1882-1898. The work was dangerous, and six voyageurs were drowned in the course of the expedition, while another thirty were upset by the overturning of their boats. As well as the dangers from the rushing waters, the voyageurs were also exposed to a whole series of diseases from which they had little immunity. There was much sickness, but few fatalities. One of those who did not make it back to Canada would be Colonel Kennedy. Thus was William Nassau Kennedy an early Canadian casualty in a war overseas, holding an informal non-military appointment working for the British Army. Despite the irregularity and somewhat exotic nature of the whole Khartoum business, most observers could agree that the Canadians had made a good job of their assignment and deserved the applause they received from their contemporaries. 1. 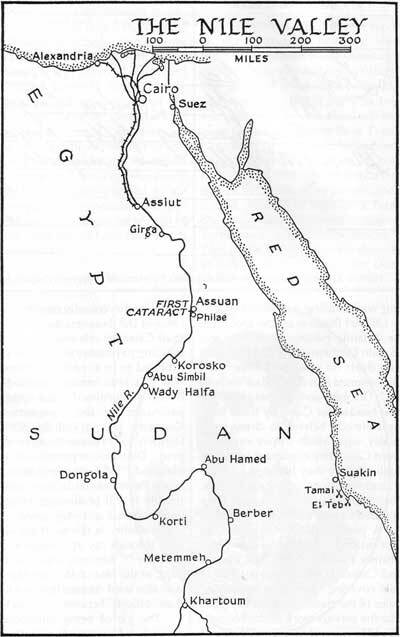 Bernard M. Allen, Gordon and the Sudan (London: Macmillan, 1931), p. 231. 2. George Arthur and F. Maurice, The Life of Lord Wolseley (London: Heinemann, 1924), p. 97. 3. G. L. Huyshe, The Red River Expedition (London, 1871). 4. C. P. Stacey, ed., Records of the Nile Voyageurs 1884-1885: The Canadian Voyageur Contingent in the Gordon Relief Expedition (Toronto: The Champlain Society, 1959), p. 16. 5. Robert O. Collins, The Southern Sudan 1883-1898 (New Haven: Yale University Press, 1962); Richard A. Bermann, The Mandi of Allah (London: Putnam, 1931). 6. Quoted in Roy McLaren, Canadians on the Nile, 1882-1898: Being the Adventures of the Voyageurs on the Khartoum Relief Expedition and Other Exploits (Vancouver: University of British Columbia Press, 1978), p. 35. 7. Quoted in C. P. Stacey, ed., Records of the Nile Voyageurs 1884-1885: The Canadian Voyageur Contingent in the Gordon Relief Expedition (Toronto: The Champlain Society, 1959), p. 4. 8. Lord Derby to Lord Lansdowne, 20 August 1884, in C. P. Stacey, ed., Records of the Nile Voyageurs 1884-1885: The Canadian Voyageur Contingent in the Gordon Relief Expedition (Toronto: The Champlain Society, 1959), p. 55. 9. Lord Lansdowne to Lord Derby, 23 August 1884, in Stacey, p. 57. 10. Ottawa Free Press, 27 August, 1884, reprinted in Stacey, pp. 64-5. 11. Melgund to Colonel William Kennedy (telegram), 28 August 1884, Kennedy Papers, Public Archives of Manitoba (hereafter KP), p. 174; Lord Melgund to Lord Landdowne, 3 October 1884, Stacey, p. 82. 12. Kennedy to Melgund (cable), 29 August 1884, KP, p. 176. 13. Kennedy to Wolseley (cable), 29 August 1884, KP, p. 175. The eight lawyers were Messrs Blanchard, Gallagher, Clark, Wilson, Shaw, Munson, McCallum, and Atkinson. Winnipeg Times, 6 September 1884. 15. Both the Winnipeg Times and the Manitoba Daily Free Press, 6 September 1884, reported a banquet in their honour. 16. Kennedy to Melgund (cable), 3 September 1884, KP, p. 183. 17. Receipt for canoe, KP. p. 197. 18. Melgund to Kennedy (cable), 4 September 1884, KP, p. 184. 19. Kennedy to Melgund (cable), 6 September 1884, KP, p. 190. 20. Major F. C. Denison to Lord Melgund (telegram), 12 September 1884, Stacey, p. 72. 21. Egerton Denison to George T. Denison, [14 September 18841, Stacey, p. 76. 22. Melgund to Lansdowne, 3 October, Stacey, p. 86. 23. Report on Canadian Voyageurs, by Lieutenant-Colonel Coleridge Grove, in Stacey, p. 215. 24. Melgund to Lansdowne, 3 October 1884, Stacey, p. 85. 26. 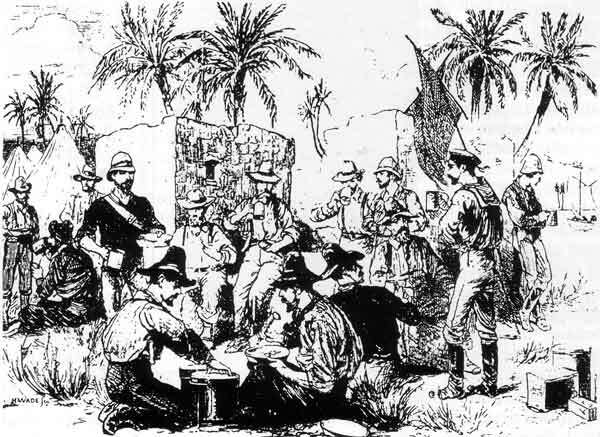 F. C. Denison, “Diary of Canadian Contingent, Nile expedition,” Stacey, p. 95. 27. F. C. Denison to Lord Melgund, 12 December 1884, Stacey, p. 166. 28. Denison diary, in Stacey, p. 156. 29. Winnipeg Times, 8 September 1884. 30. Denison to Mrs. Denison, 4 April 1885, in Stacey, p. 209. 31. Captain Egerton Denison to Lt. John Denison, 27 January 1885, in Stacey, p. 188. 32. Quoted in Stacey, p. 24. 33. General Report from Lieutenant-Colonel F. C. Denison, 9 May 1885,” in Stacey, p. 214. 34. Report on Canadian Voyageurs, in Stacey, pp. 217-218. 35. Denison to Melgund, 17 October 1884, in Stacey, p. 151. 36. Captain Egerton Denison to Lt. John Denison, 27 January 1885, in Stacey, p. 188. 37. Stacey, p. 30; Aumond to Lieutenant-Colonel F. T. Denison, 7 April 1885, in Stacey, p. 210. 38. Captain Egerton Denison to Lt. John Denison, 27 January 1885, in Stacey, p. 187. 40. Kennedy to Colledge, 1 May 1885, KP, 32627. 41. Memorandum in case of death, 1 May 1885, KP, 327-330.